Please be informed, the firmware of the MTi-series portfolio has been updated and further improved. This stable firmware (version 1.10) has been released together with the new MT Software Suite 2019 launch, providing the users with some interesting additional features. 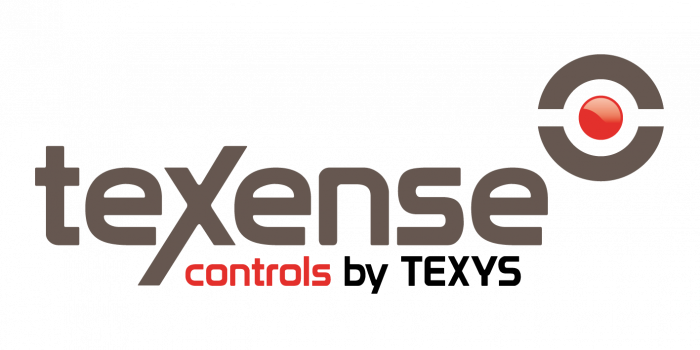 Read more on MT Software Suite 2019 here on the Xsens support platform BASE. Potrai effettuare il download del nuovo firmware al seguente link. A demonstration of low speed accuracy of Race Technology SPEEDBOX-INS and GPS2 RTK systems. Running multiple low speed tests between laser barriers, set 20m apart using a class 1 tape measure. Speed accuracy is calculated from distance measurement discrepancy. The results show that the SPEEDBOX-INS system is incredibly accurate even at low speeds. With the addition of the GPS2-RTK to the system, which improves positional accuracy, these is no noticeable improvement to speed accuracy. Texense ha realizzato questo sensore construendolo su misura intorno ad un elemento piezoelettrico. Il mod. 8xMPS è un sensore differenziale e/o di pressione assoluta a 8 canali che offre un’elevata precisione in un contenitore molto compatto. Un’attenta progettazione ha permesso di ottenere livelli di rumore molto bassi e una compensazione della temperatura ottimale. Questa nuova versione aggiornata del nostro amplificatore termocoppia brevettato modello THA è ora in grado di campionare a 5 o 10 KHz. L’elettronica di amplificazione è incorporata nella parte posteriore del connettore della termocoppia, controllando la compensazione del giunto freddo e la linearizzazione. 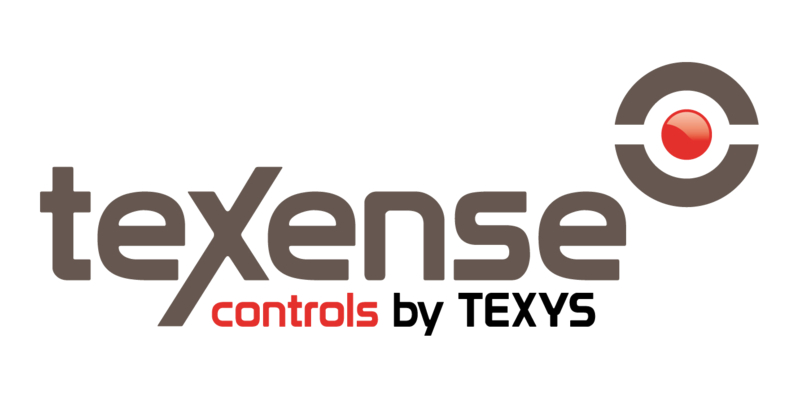 Just to inform you, there is an expected issue with the global GPS system<https://base.xsens.com/hc/en-us/articles/360019813434-Does-the-GPS-week-roll-over-April-6-2019-affect-Xsens-MTi-sensor-modules-with-GPS-> that will occur on April 6, 2019. Basically, the system communicates time as the number of weeks since January 6, 1980. But it stores it in a number that can only go to 1023. So every 20 or so years the number reaches 1023 and must reset to zero. If a GPS receiver is not ready for this, it can get confused and the calculated time will be incorrect. The good news is that the u-Blox GPS receivers that Xsens uses (G-710, MTi-7 support) will not be affected. Designing and executing the necessary tests to develop, evaluate and compare advanced driver assistance systems (ADAS) and autonomous driving functions is posing an ever-growing dilemma to the automotive industry. The test setup must be repeatable and as independent as possible of time of day, weather conditions and test driver behaviour. One such organisation facing up to the challenge is the Insurance Institute for Highway Safety (IIHS), and independent American body conducts which tests to assess how ADAS technology can prevent or lessen the severity of crashes. Several years ago IIHS identified a growing need to expand its test facilities while meeting the requirements for future testing, including all-weather operation and test automation. 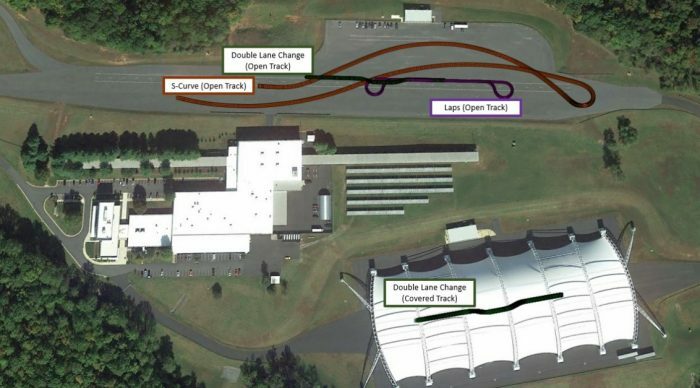 In 2015 IIHS completed a $30 million expansion of its Vehicle Research Center (VRC), the centrepiece of which was a five-acre covered track designed to allow testing to continue in all weathers. An existing outdoor track was also expanded, bringing the total area of test track to 15 acres. 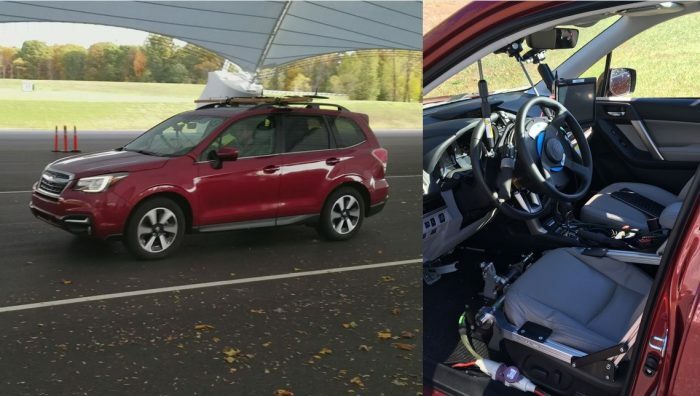 Given the need to simulate crashes safely, accurately and repeatably, IIHS had also researched robotic equipment to automate some of the driving tasks. While the covered track offered much needed all-weather testing capability, it introduced a challenge for the high-accuracy GNSS-INS measuring equipment that IIHS uses for testing. IIHS operates a multi-frequency GNSS base station with real-time corrections to provide the position, velocity and time (PVT) parameters that are required for testing and essential for operating robotic test equipment. However, tests on the covered track showed the equipment was not delivering the accuracy and repeatability needed, and it was concluded that the steel trusses of the covered track’s fabric roof were obstructing the GNSS signals. Finding an alternative positioning technology that could deliver the required positioning performance on both the open and covered tracks triggered a global technology search. In 1997 Australian company Locata began developing an alternative to GNSS/GPS in order to overcome the limitations of satellite signal-based navigation systems while delivering centimetre-level accuracy. Key to Locata’s system is a time-synchronization capability, called TimeLoc, that allows its ground-based signal transmitters, known as LocataLites (LLs), to synchronize with each other to picosecond precision. A network of LLs forms a GPS-like constellation that allows signal-based positioning within a serviced area. These networks can cover deep canyons, indoor facilities and other challenging environments where GPS struggles to operate and deliver centimetre-level accuracy with high reliability and guaranteed high repeatability. Locata-based commercial networks can operate as an alternative or an augmentation to GPS. 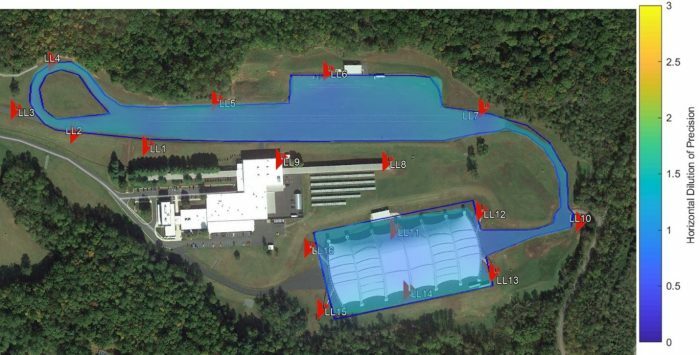 A Locata network was deployed at IIHS in 2013, with 16 LLs covering both the open and covered test tracks. The network was designed to meet two key requirements: firstly, accuracy of 10 cm or better at 95% confidence, and secondly, a very high degree of repeatability with a service availability (meeting the above accuracy requirement) in excess of 95% of the time. All Locata receivers were expected to time-synchronize with GPS time and use the same coordinate systems as GPS, so any GPS equipment tested, such as built-in navigation systems, can be compared easily. The IIHS network was designed using Locata tools that simulate network performance for various LL locations and allow the definition of visible/usable areas for each LL. As both IIHS tracks need to be time-synchronized and then to be synchronized with GPS, a single LL was designated as the master for the network. However, the two tracks are separated by a significant height difference, so a chain of LLs was used to bring the TimeLoc from the open track to the lower, covered track. The site topology did not allow good height distribution of LLs, so the optional digital terrain model feature was utilised. The network infrastructure was built and is maintained by IIHS with support from Locata. AB Dynamics is the world’s leading supplier of the driving robots used in automotive testing. Driving robots precisely and accurately control vehicle control inputs with a level of repeatability that vastly exceeds that of human test drivers. Historically, driving robots have been used for vehicle dynamics, durability and even crash testing, but when coupled with an accurate position measurement sensor they can execute centimetre-accurate path-following tasks. 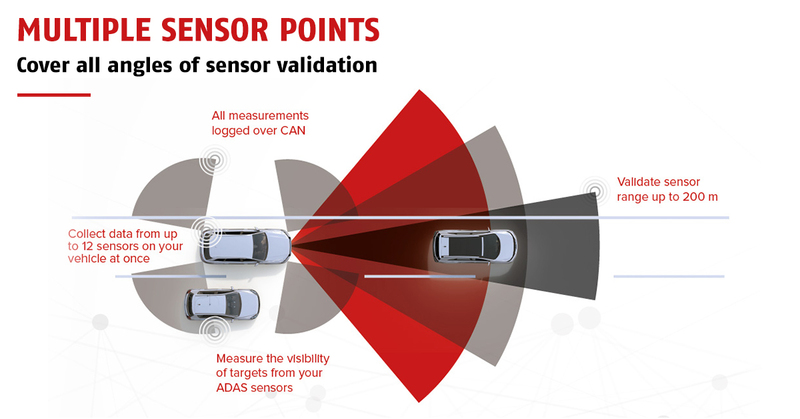 When developing ADAS the ability to accurately and precisely control vehicle position is key to recreating real-life scenarios. AB Dynamics’ path-following software is an established and proven technology. 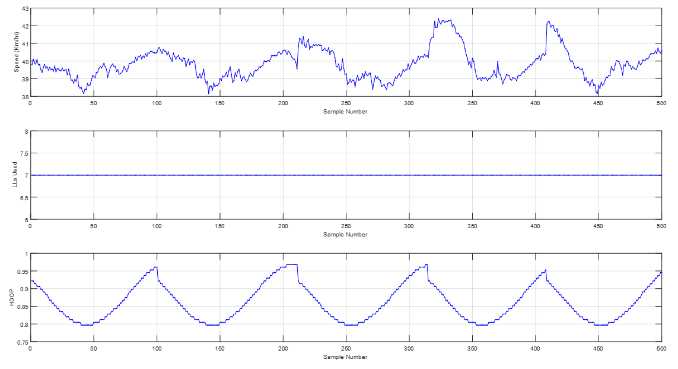 Motion data is collected from an inertial measurement unit (IMU) at 100 Hz and fed back to the robot’s path-following controller. This controller employs a speed-dependent look-ahead algorithm that not only maintains the vehicle heading but also allows centimetre accurate path control. OxTS specialises in the design and manufacture of GNSS-aided inertial navigation systems (GNSS/INS) for automotive testing. OxTS systems offer not only centimetre-level position accuracy but also movement data in all vehicle-axes at up to 250 Hz. OxTS’ RT-series of products are used by many of the world’s automotive manufacturers for everything from vehicle dynamics testing to multi-vehicle ADAS testing and validation. 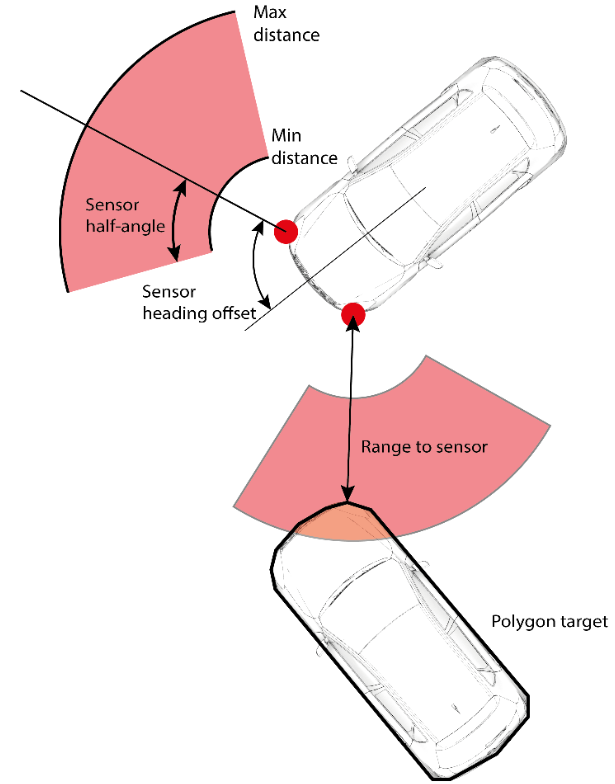 Unlike standalone GNSS automotive systems, which are unable to output data during GNSS blackouts, or are affected by multipath errors, OxTS products are still able to compute position, orientation and velocity measurements because they are built around an inertial measurement unit (IMU) that does not rely on external signals. However, systems that rely on inertial measurements only are also prone to accumulated position estimate errors, or drift, with time. In OxTS’ products these errors are mitigated by the GNSS input, and several other inputs can be used alongside the IMU platform to create a hybrid system where each technology addresses weaknesses in others. The end result is an accurate and reliable measurement system that works in challenging real-world conditions. This makes it particularly suitable for robotic applications where a sudden loss of position information, or sudden jumps in location or heading, can have serious implications. When the OxTS system is configured to work with the Locata system, the built-in GNSS information is replaced by measurement input from the Locata receiver to produce accurate and reliable measurements while maintaining excellent position accuracy. Data is output via Ethernet and CAN to be used by other equipment, such as driving robots, or logged. Raw measurements are also logged internally to be downloaded for post-processing in order to test different scenarios or make other changes. In October and November of 2017 IIHS, in partnership with Locata, OxTS and AB Dynamics, conducted a demonstration of its all-weather test facility. For this demonstration, an RT1003 GNSS-INS was used to receive PVT data from the LL receiver instead of the RT’s GNSS receiver. No specific configuration was needed to interface the RT with the Locata receiver and the setup could be run interchangeably with either a GNSS or a Locata receiver. Both the RT1003 and the Locata receiver were mounted on one of the vehicle’s rear seats. AB Dynamics provided a flexible driving robot drop-in kit that was quickly installed without modifications to the vehicle. Even with the robot installed, the steering wheel, throttle and brakes remain accessible to the driver. At the heart of the driving robot is a dedicated real-time controller, which coordinates the steering and pedal robots and captures data at speeds of up to 1000 Hz. The Locata antenna was fixed to a roof rack-mounted ground plane, approximately aligned with the centreline of the vehicle. 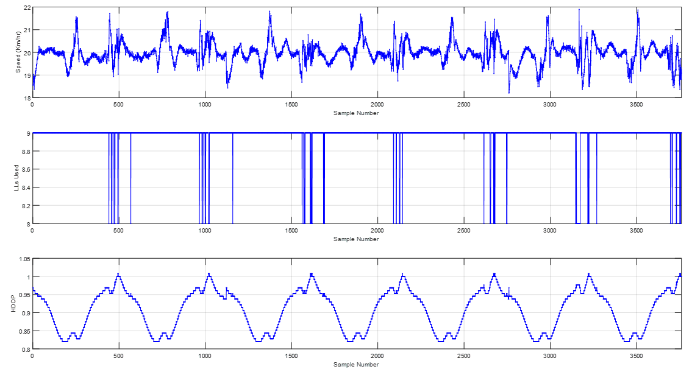 A second Locata antenna was connected to a second Locata receiver to be used for post-processing accuracy analysis of the fixed baseline between the two antennas. This baseline was then used as the truth for Locata-only post-processing accuracy analysis. The test vehicle was driven in various driving patterns on both test tracks. Double lane changes (DLCs), conducted on both tracks, resemble the driving pattern needed for testing most collision-avoidance and lane-change features, while an S-curve driving pattern was used to simulate IIHS’s headlight evaluations. Data analysis from two full days of testing focused on the accuracy and repeatability of the automated test setup as a complete system first and then Locata alone. The foundation for a highly repeatable control system with positioning accuracy is a highly reliable Locata network that delivers repeatable DOPs and a number of ranging signals at any given track location. Repeatability of the numbers of LLs seen and the HDOPs were investigated for this purpose. During the five repeats of the DLCs conducted at 45 km/h on the covered track the number of LLs seen remained constant at seven, as expected. For the 20 km/h lap scenario on the open track, the number of LLs varied between eight and nine, with the drop occurring at one end of the lap. Analysis of the 48 DLC repetitions from the covered track, carried out at a range of speeds from 10 to 45 km/h, revealed a high level of repeatability. In straight segments the control system was able to repeat all the runs with less than 4 cm of mean deviation. A mean deviation of 5 cm was seen in the turns due to the range of speeds and the increasing lateral acceleration at higher speeds. The standard deviation also followed the same pattern, remaining below 3 cm during the straight-line segments and increasing up to 5 cm during the turns. A standard deviation of less than 2.5 cm was seen throughout all parts of the scenario, demonstrating that the Locata/OxTS/AB Dynamics automated control system maintained a run-to-run mean deviation of 5 cm or better and a standard deviation of 2 cm during straight-line driving. 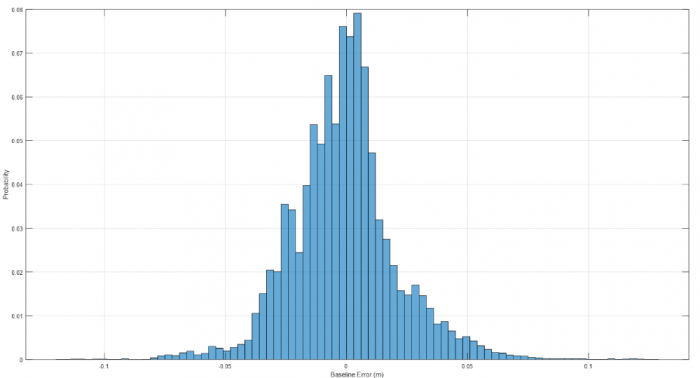 Locata baseline error from repetitions of all scenarios was then used to estimate a probability distribution function (PDF) to assess the Locata positioning system performance alone. This included close to 180,000 data points from around five hours of automated driving. This baseline error PDF gives a Locata positioning accuracy of 2.8 cm at 95% and 5.6 cm at 99.7%, which is far in excess of the IIHS requirement of 10 cm at 95%. With the addition of a covered test track, the Insurance Institute for Highway Safety needed an accurate and repeatable measurement system. 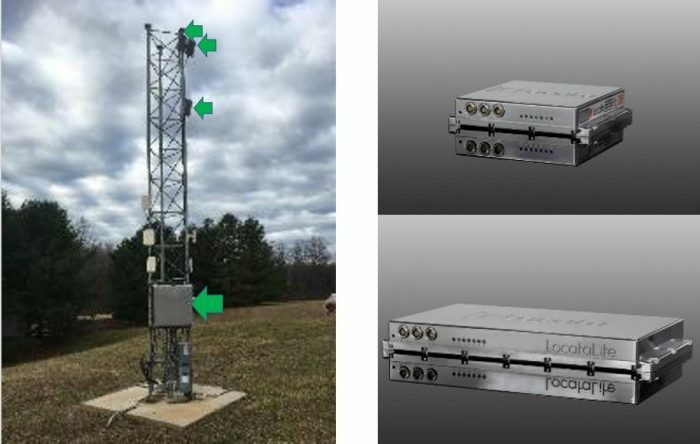 Locata was able to install a local network of LocataLites to form a GPS-like constellation of transmitters to provide centimetre-level accuracy. 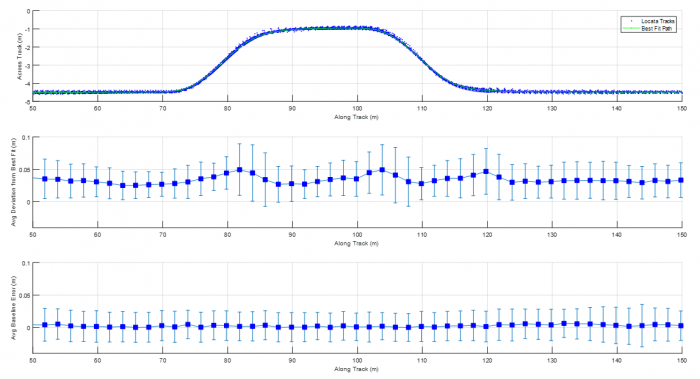 With the positioning solution from Locata and an inertial measurement solution from OxTS, AB Dynamics was able to demonstrate accurate and repeatable testing with an automated driving robot.